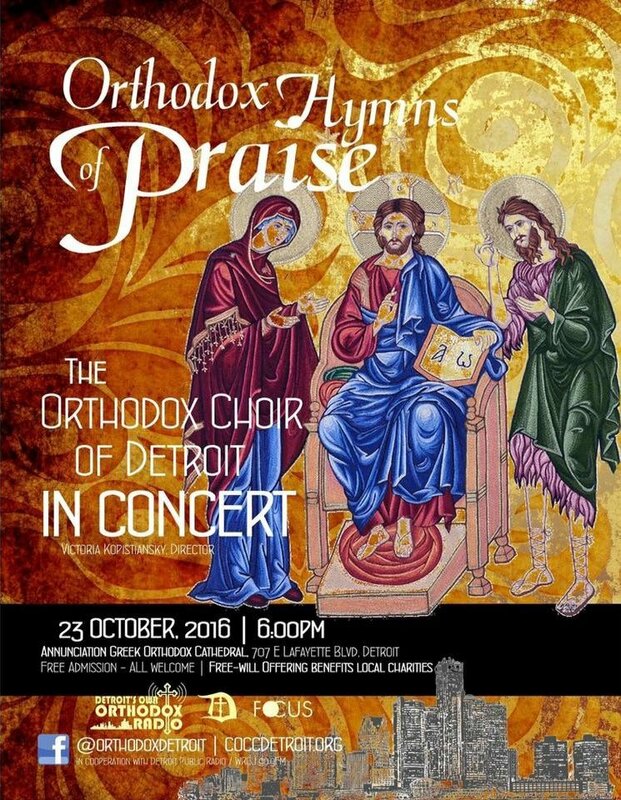 DETROIT, MI [COCC] -- The Orthodox Choir of Metropolitan Detroit will perform its sixth annual benefit concert on Sunday, Oct. 23 at 6 p.m. at Annunciation Greek Orthodox Cathedral, 707 E. Lafayette Blvd., in the city's Greektown district. With the theme "Orthodox Hymns of Praise," the concert program will consist of hymns and liturgical songs from different Orthodox Christian traditions. The choir is composed of more than 40 volunteer singers from several Orthodox Christian parishes in southeastern Michigan. Under the artistic direction of Victoria Kopistiansky, it is regarded as one of the finest ensembles of its kind in the country. Sponsored by the Council of Orthodox Christian Churches of Metropolitan Detroit (COCC), the concert will support three Orthodox charitable organizations that aid local communities in the metro area: Detroit's Own Orthodox Radio, Orthodox Detroit Outreach and FOCUS Detroit. The concert is open to the public free of charge. For further information, contact COCC President Olga Liskiwskyi at (248) 252-8184 or Olgaliss0910@gmail.com.